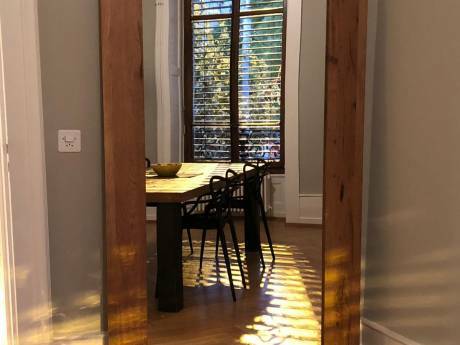 Gorgeous 200 Sqm apartment in the best neighbourhood in Geneva. It offers all comfort facilities in a very classy and quiet building. Relax in the Moroccan luxurious mood of our living room in silk hand made sofas, watch a movie on a 42" LCD screen with home theater, or just enjoy our narguile (water pipe). The fully equipped kitchen offers anything for you to enjoy a nice meal or have a delicious nespresso. This home is ideal for couples with babies and/or toddlers as it has two beds, and a huge collection of toys your kids can enjoy. The master bedroom offers a 5 star-hotel like sleeping experience, again with a 27" LCD screen, and a black wood desk. We have two fully equipped bathrooms with Tub or shower. The building has free access to professional washing maching, and dryer. Stay in shape and go for a walk in the magnificent Parc Bertrand opposite to our building, or if the weather does not permit, enjoy our in-house professional treadmill. We are an expatriate couple with two children: Amin 3 years old, and Aya 2 years old. We love travelling the world, and would love to visit your region, and get you to discover our beautiful city. Geneva has ranked for the past two years Number 1 city in the world in terms of quality of life. 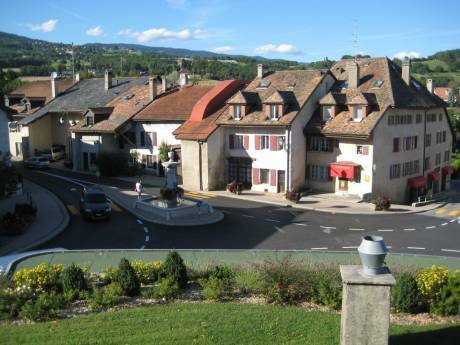 We are located in Champel which is certainly one of the best neighbourhoods in Geneva. 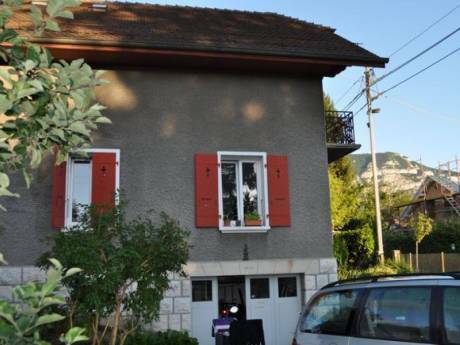 Located 15 mns walking to the Geneva lake/shopping area. The bus passes 1 mn away from the buiding, and gives access to all the Geneva neighbourhood with probably one of the best local transport systems in Europe. Opposite to our apartment is the beautiful Parc Bertrand with its 100,000 sqm of green spaces, and children playgrounds. Geneva offers one of the best entertainment/outdoors activities. Ski in the Alps within less than an hour drive, walk by the beautiful lake, visit ancient villages within 15 mns, or enjoy a relaxing spa in the number of resorts around the region. Name a cuisine from anywhere in the world, and book in one of the 100's of fine restaurants. If you are a nightlife addict you will not be bored with a great number of pubs/discos hosting famous DJs all over the year.